We are excited to announce that PDXScholar has passed the 2 million download mark! 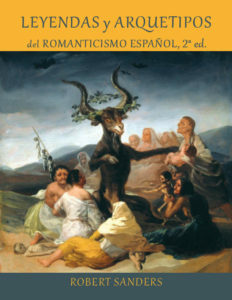 Sanders, Robert, “Leyendas y arquetipos del Romanticismo español, Segunda edición (2017). Open Access Textbook. PDXscholar hosts student-run, peer-reviewed publications, such as Anthós, The Hatfield Graduate Journal of Public Affairs, and McNair Scholars Journal. Students gain early career experience in publishing research, and they can showcase their scholarship. Nearly 1,000 students have used PDXOpen textbooks in their classes, and students have saved over $100,000 by using these free online textbooks tailored for PSU classes. PDXScholar provides a consistent, long-term home for work created at Portland State University. Faculty, students and staff can be assured that their scholarship is preserved in perpetuity when placing links on résumés or websites. Add your scholarly works to PDXScholar, and help us reach the next million mark!